What is even more worrying is the possibility that Ramaphosa may, in reality, be much more like Mugabe than we would like to believe. 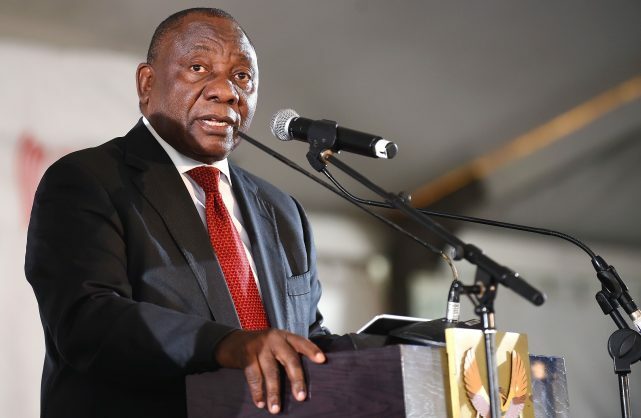 There have been a number of characteristics which have put President Cyril Ramaphosa ahead of his predecessor, Jacob Zuma, in the image stakes. He is more eloquent (at least when speaking in English). He is more at ease when dealing with diverse groups of people. Perhaps most important for the country as far as its diplomatic standing is concerned, he has always appeared to be the consummate diplomat on the international stage. Sadly, though, with his recent outburst at US President Donald Trump, he was none of those things. Instead, he was a rabble-rousing populist, channelling the ANC’s hero north of the Limpopo, ousted dictator Robert Mugabe. In trying to tell off Trump – after the American leader said his government would be investigating South Africa’s land expropriation plans, as well as claims of genocide against whites – Ramaphosa lowered himself to Mugabe’s African tyrant level. In a manner similar to Mugabe attacking former British Prime Minister Tony Blair some years ago, Ramaphosa told Trump he could keep his America and we would keep our South Africa. In other words, keep out of our country. We do not dispute the right of a head of state to respond to controversial statements from outside the country, but such responses should not appear to be nasty, or like the rantings of a demagogue. We are not commenting on the rights or wrongs of what Trump said. But Ramaphosa is denting his own image – that of a measured conciliator – with outbursts more in keeping with those of Julius Malema. Or he may just be a political chameleon. We very much hope it is the latter.